If you were at the 2014 PMI Global Congress in Phoenix last week, you probably don’t have time to read this blog. You are in the field becoming a world changer! The theme Progressive Learning played throughout the week as attendees gained insight, enhanced skills, and learned new approaches toward achieving project success. Day one focused on the Organization, day two on the Individual, and day three on Break Through. Running the numbers, we had 2200 attendees representing 1176 organizations from 60 countries. Idea exchange. Interactive vendor exhibits. Incredible keynotes. The focus – Leadership within each of us. Certainly, we need to understand the tools of project management to perform the work tasks. As I regularly emphasize in my PMP class context and attitude are far more relevant. While the congress enabled participants to expand their understanding of the tools, the theme more significantly focused on individual enhancement. Do a personal and a business SWOT twice a year. Do not dilute your brain, be careful with whom you partner. Listen and then consistently OVER deliver on what customers need. Adjust and adapt to take your game to the next level. To improve, work with someone better than you – then put in the time to practice. Have a plan. Prepare. Execute the plan. Discipline. Winners win. Losers lose. Winning is a mindset. If you aren’t excited about the goal, the team won’t be. As a leader, you need to know every team member. Work with (or hire) people who work hard. Results will follow. You should have been there, the Magic was infectious. Bad pun. As “Magic” walked through the audience, allowing everyone to take a selfie with him, it was clear that he walked the talk. Will you? The Congress offered eighteen simultaneous Area of Focus tracks including Agility, Business analysis, Benefits realization and Value Engineering, Case studies, Change management, Complexity, PMO and OPM, Project management talent, Knowledge Transfer, Leadership, Methodologies, Globalization, Methods and Technologies, Research, Strategic and Business acumen, Translation (into action), Sustainability, and Trends in Leadership. The challenge, as always, is filling the three or four slots each day with stimulating or skill expanding options. 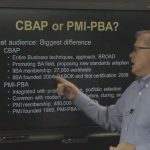 PMI introduced the new Business Analysis Credential (PMI-PBA). Leadership and the responsible role of the Project, Program or Portfolio manager in affecting beneficial change wound through each Area of Focus. Jack Dugal’s Kill the PMO presentation perfectly set the stage. PMO’s tend to add layers of corporate governance the unnecessarily slow or burden the change process required of projects. Following Albert Einstein, “simplicity means achievement of maximum effect with minimum means” and Antoine de Saint-Exupery, “Perfection is achieved, not when there is nothing more to add, but when there is nothing left to take away”, Jack offered five basic principles without which a PMO should be discarded. Rather than creating a picture that is the sum of all the details (and therefore becomes a distraction), create a picture in the form of Picasso that bears only the relevant components to affect the goal. Pare to the bone. Keep taking away until the structure is evident. Self Eliminating. The PMO must step aside when the project is operating successfully toward the goal. Desire lines. Understand where the customer intends to go, and follow the lead. The image for desire lines clearly paints the concept – people will find efficiency if you allow them. Rigor without Rigidity. Enable responsiveness rather than tight rule. To create and effective PMO, inventory all the program and project processes, then find the means to slim, trim, prune, combine, shun and modularize them. Project management must be about assisting beneficial change, not impeding the effort. As I recently shared in my webinar Change – The Purpose for Projects, humans tend to oppose any change process. Project managers need to facilitate rather than complicate the path. The proper meme should be “Believing is Seeing”. Understanding the benefits, visualizing the end goal, creating the conviction to reach the goal, generating team confidence, and demonstrating the certainty that the tools and plan will help everyone to achieve the goal all rely on believing before the first step is taken to execute the plan. Motivation and leadership are key skill sets for a project manager to develop. Magic Johnson pointed out that success requires a combination of talent and skill. Talent is innate. Skill requires work. You can overcome any weakness by developing a skill – even if it requires the proverbial 10,000 hours of practice to become experienced, you must start the effort and commit to following through. Hence, project management should be more about a passionate career than a job. Fortunately, Kristy Tan Neckowicz and Dev Ramcharan offered Skills to Shine, providing the 8 Dimensions of project management success. Each are skills that can be learned and developed. IQ & Knowledge. We now know that neuroplasticity enables us to increase IQ, and focused effort can gain us knowledge and the ability to apply it contextually. Understanding our personality relative to the personality of others enables us to remain true or natural to ourselves AND to adapt to situations. Motivators and Value systems. Although primal motivators tend not to change except through traumatic experience, we can work to understand the value systems that motivate others, and ultimately can perspective that enables us to expand our motivators. The six categories of motivators are: theoretical, utilitarian, aesthetic, social, individualistic, and traditional. Minimally, we can learn how these affect us and our team members. Emotional Intelligence. Our awareness of self, self regulation, motivation, empathy, and social skills as a continuum of self expression and influence. Culture Awareness. How nations, regions, organizations operate as well as opportunities and sensitivities exist. Organizational Politics. How power and social networking affect ideation, change expedition, and mechanisms of leverage. The skill also involves attending to generational differences and the evolving social conscience. Conflict Management. The venue of opposing interests, potential conflict, perception, conflict as a process rather than a state, and appropriate action. Coaching and mentoring. The role of evolved leaders is to teach leaders rather than merely to lead teams. Dr. Daniel J. Levitin’s keynote from his book “The Organized Mind: Thinking Straight in the Age of Information Overload” induced me to purchase his book. (I forced myself to put it down to write this blog. Discipline. Lesson learned.) WOW! How we operate as project managers and leaders, how we are expected to perform, and how our team members are expected to perform is often wrong. All wrong. We are Human beings, not human doings. We need to better understand our physiology in the midst of rapidly changing technology and culture. D’oh! Multi-tasking is equivalent to an entire marijuana joint (he’s the doctor). After 1 hour of multi-tasking IQ temporarily drops by 10 points. And our bodies can take up to 4 hours to recover from a toxic biochemical load. Highly successful people actually get more done by shutting distractions off for 1-4 hour stretches, and setting blocks of focused time. Yet we expect 10 hours of productivity in an 8 hour day. I could write an entire article about Dr. Levitin’s book. Hey – another blog topic. Understanding the physiology of thought will assist me as an individual, in how I mentor other project managers and leaders, and in the plans I set for the completion of activities within my project. Brodmann area 47. Locus of Control and the relationship to motivational style. Decision making and fast versus slow thought. So much more to share. You missed a great event. Check out the PMI.org site for available content. Your assignments: Buy a book, or three. Follow my blog as I digest and share more insights. Focus your efforts. Avoid distraction and fast-switching (aka multi-tasking). Take time out to regenerate – and make sure your teammates have the same opportunities. Pick a new skill and keep practicing (with intent). And absolutely schedule yourself to attend the PMI Global Congress 2015 – Disneyworld, Orlando, Florida – October 10-13. In the meantime, I look forward to seeing you in the classroom, or online! 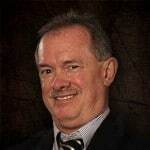 Steve teaches PMP: Project Management Fundamentals and Professional Certification, Windows 7, Windows 10 and CompTIA classes in Phoenix, Arizona.